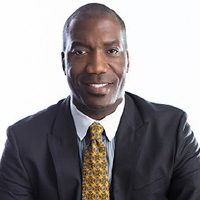 Keith Carr is the Founder and Principal Consultant of FOREFRONT, LLC. Mr. Carr has an extensive consulting background and brings over a decade and a half of direct business strategy, operations, research and management experience to the firm. Prior to becoming an entrepreneur, Keith worked nearly 10 years in local, state government agencies and with Florida Legislature in criminal and juvenile justice, probation, organizational management, operations, research and policy development. Keith is a graduate of Florida State University (FSU) and holds a Bachelor’s degree in Criminology and a Master’s degree in Public Administration and Policy. The client portfolio of Carr’s companies consist of public, private and non-profit clients that includes – multiple Federal, State, County and City governments, private sector and non-profits organizations. A brief client list includes the US Department of Health and Human Services, Department of Justice – Bureau of Justice Assistance, Southeast Corporate, US Departments of Health and Human Services and Justice, Florida Network of Youth and Family Services, Florida Departments of Children and Families, Corrections, Juvenile Justice, Health and Emergency Management, City of Miami, and Orange, Seminole, Hillsborough, Lake, Osceola County Governments, YMCA, Lutheran Services Florida and Fox Valley Technical College. Carr recently co-founded 4F Applied Technologies in January 2016, an enterprise business computing company. 4F provides custom business information technology platforms, consulting, and business process advisory services. 4F technology focuses on implementing enterprise IT, platform as a service and related technology assistance for public, private and non-profit entities. NoteActive is the first 4F enterprise software release. Carr is a Trustee on the FSU Foundation Board of Trustees. He chairs the Foundation’s Audit Committee. He is a Life Member and past Vice President of the Florida State Alumni Association and was also past President of the FSU Black Alumni Association. He is also a past board member of the FSU School of Criminology and Criminal Justice. Carr was also an Adjunct Professor for 4 years at FSU. Further, he is consistently engaged by legal firms as an expert witness in dependency and juvenile justice court cases and as a speaker at numerous state and national conferences/meetings on various quality assurance and performance improvement issues, risk management and organizational change topics. Carr is also a member of Alpha Phi Alpha Fraternity, a professional community and civic organization. Carr shares his time by mentoring to youth and provides business mentorship to start-up and early stage non-profit organizations. Carr and his wife have focused their personal philanthropy on providing access to higher education for First-Generation College Students from their home-towns by establishing a Scholarship fund in their names at FSU. Carr resides in Orlando, Florida with his wife and daughter. 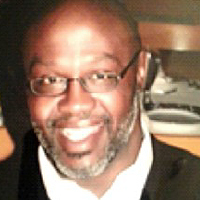 Mr. Williams brings over 25 years of professional experience in local, state, and national youth and family services program administration and community development. Isaac has done extensive work as a state and federal government contractor providing technical assistance and training to establish longitudinal and reciprocal understanding and appreciation of youth and family services and programs. Most recently, Isaac was a part of the Forefront LLC team that provided service analysis for Orange County government helping them work through an important make or buy decision on service capacity. He enjoys sharing that he used to play football at Florida State University and was the 1986 National Football League draft pick of the Indianapolis Colts. 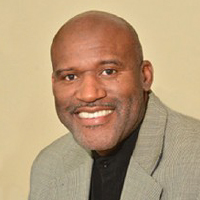 Dr. Randy B. Nelson currently serves as the Program Coordinator for the Bethune Cookman University Criminal Justice Administration Graduate Program. Dr. Nelson’s educational background includes a B.A. degree in Sociology from Eckerd College, a M.A. degree in Criminology from the University of South Florida, and Ph.D. in Criminology and Criminal Justice from Florida State University. His academic and professional career has focused on developing and evaluating delinquency prevention methodologies designed to address the problems negatively impacting disadvantaged communities. Dr. Nelson has an extensive history of working with non-profit faith- and community-based social service organizations to develop and effectively achieve their programmatic and outcome goals. He has conducted several presentations and authored numerous reports and publications on the disproportionate representation of minority youth in Florida’s juvenile justice system. Dr. Nelson has also served as an adjunct faculty member at Florida A & M University and Florida State University where he was responsible for the instruction and evaluation of undergraduate and graduate criminal justice students. His work experience includes employment with the Florida Departments of Corrections and Juvenile Justice. Dr. Nelson is a nationally recognized law enforcement trainer in the areas of community policing and engagement strategies. 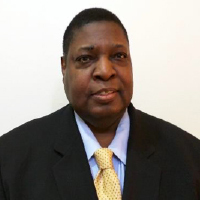 Ronald Baker is a professional subject matter expert with over 25 years of results-oriented experience in state and local government. Ron has an extensive background in public policy, administration and management including social services, public safety, transportation, change management and innovation.